Home automation enables you to control your household features such as lighting, temperature, security and more all through a single control panel or internet device such as your smart phone, table or computer. 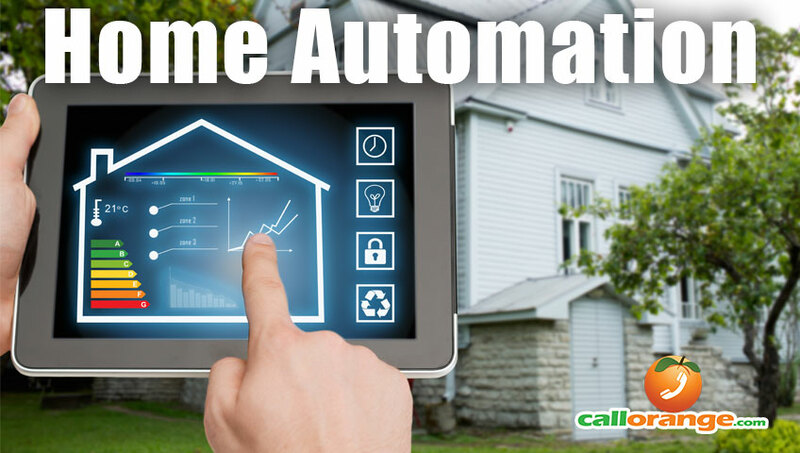 Beside just convenience of having control f your home through a single device, automation can save you money by improving your home’s efficiency and security. How do you get started with home automation? The great thing about getting started with home automation is that you can start small and it can be done affordably while still providing great benefits. When setting up your home automation system you can start with just the basics and over time add on to your system as needed. A basic home automation and security system usually starts with a control panel (you can usually also use a computer, table and/or smart phone), door and window sensors for alarm security and a smart thermostat for temperature control. These devices are relatively affordable and can either be set up by yourself or quickly and easily by an installation professional. Just these few basic devices will enable you to secure your home, monitor activity and control temperature such as being able to turning up your heat or air conditioning minute before you arrive home. After your basic home automation system is set up you can then add additional devices such as video cameras, smart smoke and heat detectors, smart carbon monoxide detectors, smart light bulbs that enable you to set timers or control your lighting from your phone. You can also install smart electronic door locks that can open doors automatically when you approach the door with your Bluetooth device or create custom key codes that you can use to track who comes and goes and to provide for visitors that can automatically change or expire on a specific day and time. There lot’s of information to help you get started in setting up your home automation system. You can check out this article about “10 Expert Tips For Building Your Automated Smart Home” for additional information or give us a call here at CallOrange.com and we can answer your questions and schedule a professional home automation installation appointment today!